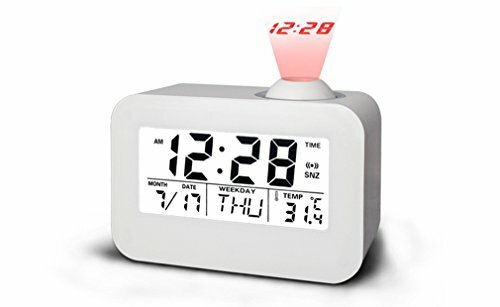 1.At night you can press the projection lamps, it can automatically display the time number at wall or ceiling, and it is so convenient when you are tired. 2.It's suitable for learning, working and leisure time at home. 3.The alarm clock has voice timing broadcast and back-light. 4.The snooze function of alarm clock is practical for the people that are unwilling to wake up at once, and both a digital thermometer inside and four music songs select as an alarm ringtones. If you have any questions about this product by Itemship, contact us by completing and submitting the form below. If you are looking for a specif part number, please include it with your message.